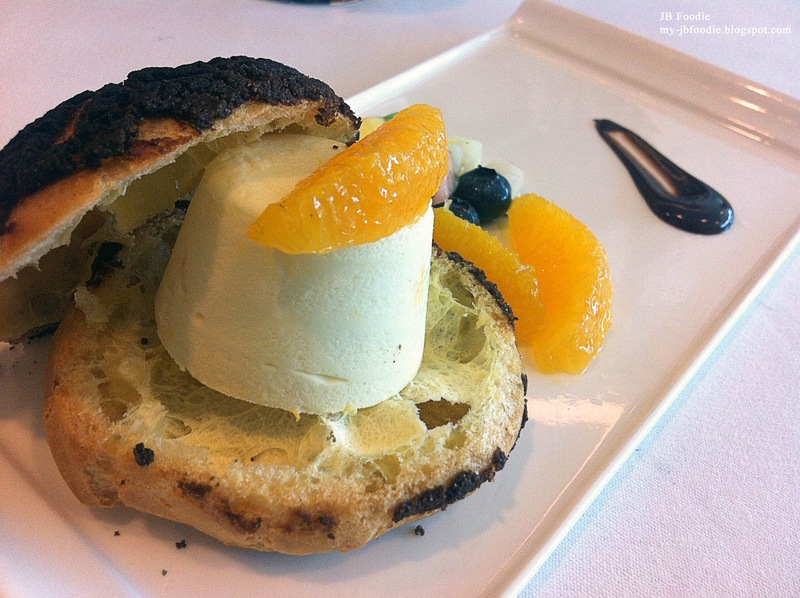 Amber@West Restaurant is equipped with a state-of-the-art open kitchen where guests can watch their dishes being prepared live, by students from the School of Hospitality. Regardless of the students' relative inexperience, they manage to conjour up a magnificent attitude by putting on their very best to accede to each and every of our request. Imperfections are of course warranted in this case, and what's there to complain when you are getting fine dining at neighbourhood prices. 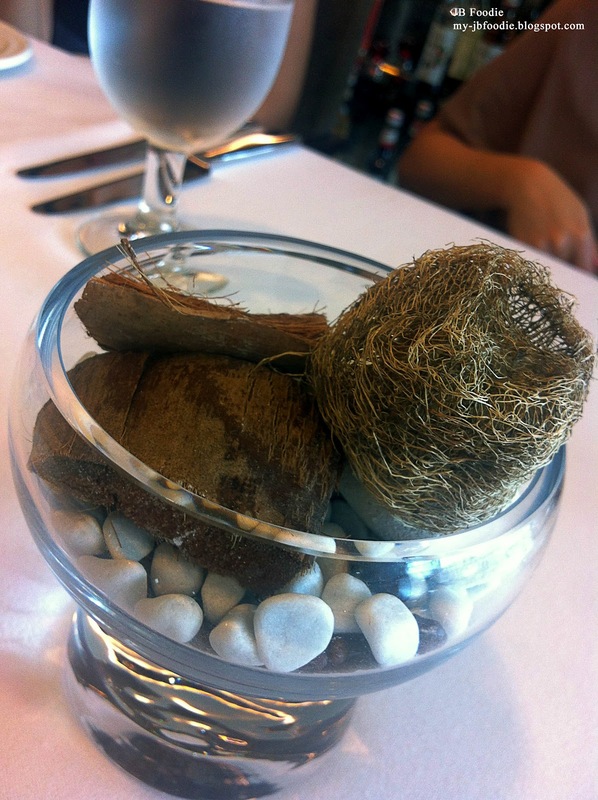 It's a win-win situation in my opinion, bringing fine dining into the heartlands at inexpensive prices and at the same time, providing the young, budding chefs an opportunity to hone their skills. 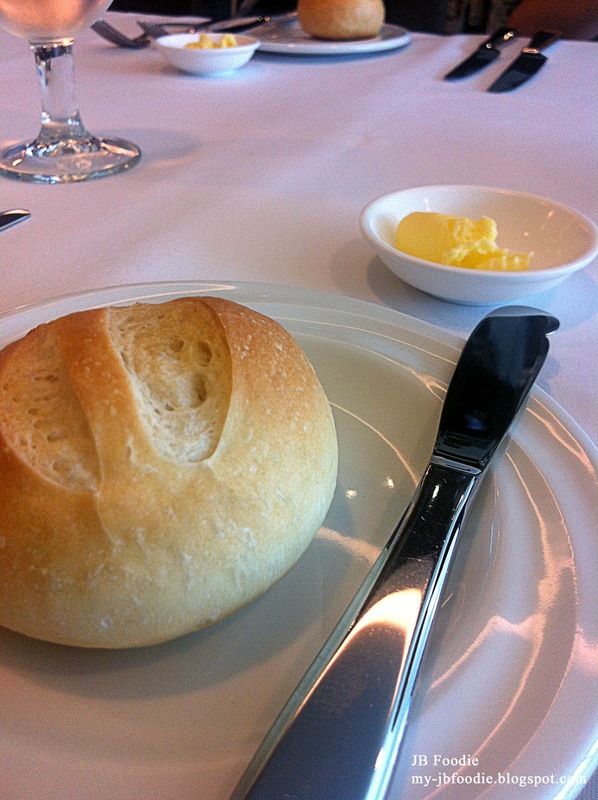 faux pas in dining etiquette. Appetising 3 course set meals (starter/soup + main + dessert) range from SGD16.00 (lunch) to SGD22.00 for dinner. 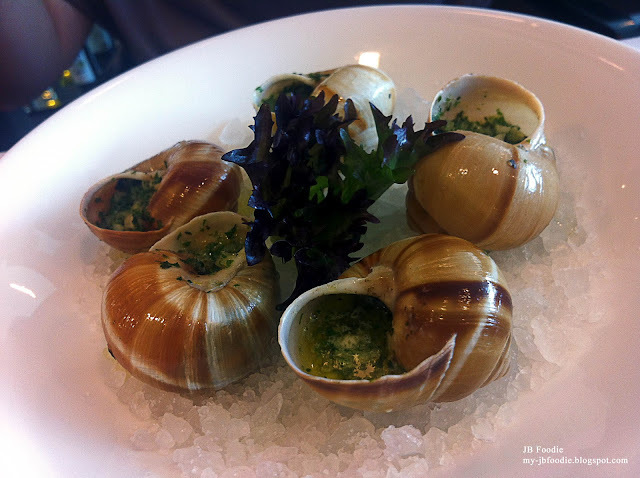 Amber-Style Butter Escargots (starter). I have not tried it and is (still) not brave enough to put it pass my oral cavity. All I can say is the diner has no end of praise for it. Cream Of Pumpkin (soup). 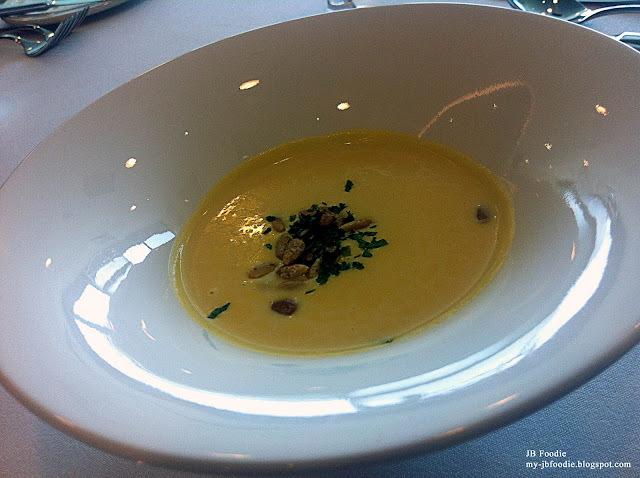 Very creamy and rich in flavour, the roasted nuts in the soup amazingly breaks an otherwise monotonous texture. 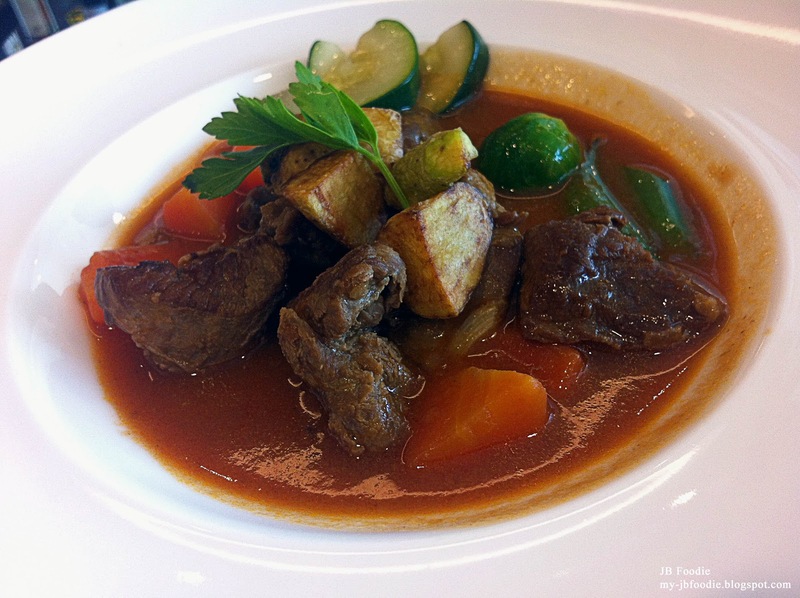 Lamb Navarin - Traditional braised lamb served with noisette potatoes & vegetables. Not recommended for those who can't handle the gamey meat. 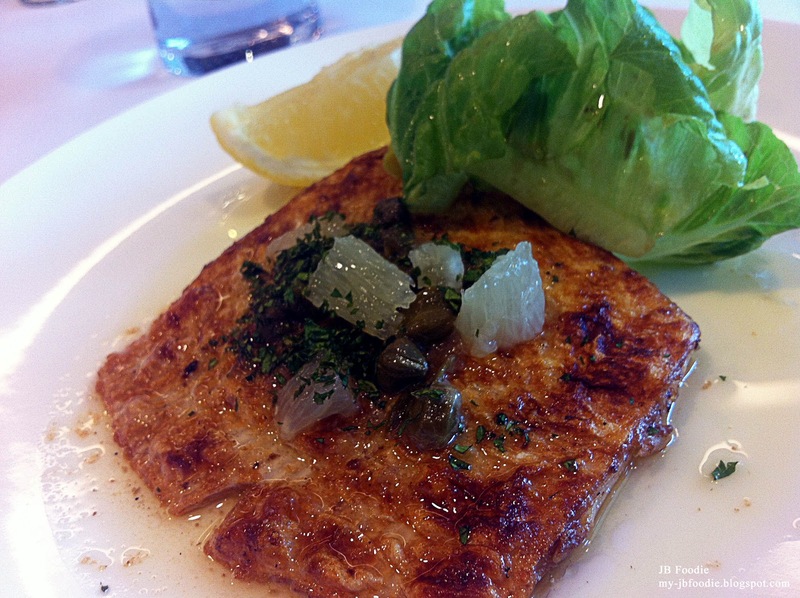 Grilled Ocean Skate - Sting ray with caper, lemon & salad. The sting ray is nicely marinated and pan-fried to perfection on a crispy skin, finished off with some zest to the dish. 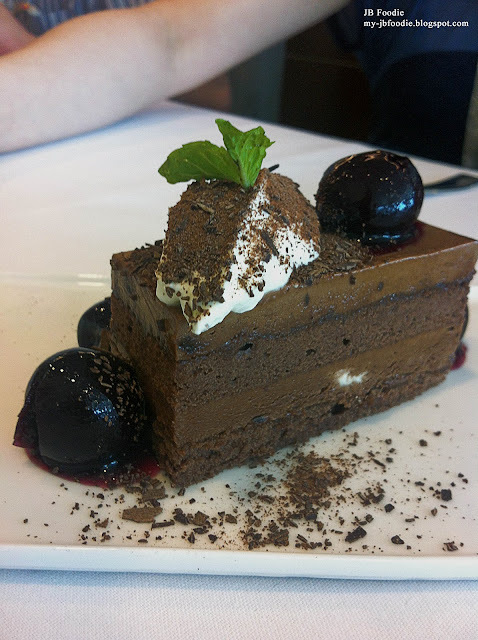 This is so awesome that I wished they could have given me a bigger slice of it. After the main, time to have some dessert. 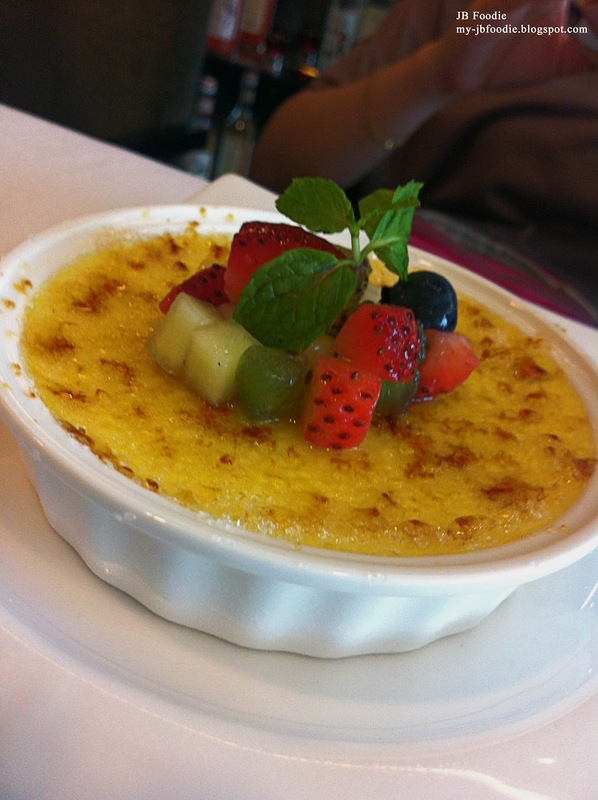 How about some creme brulee (sugar-glazed custard) to finish off the dining experience ? Or how about the Profiteroles (choux pastry with orange mousse & fruits) ? If pastry aren't to your liking, you can still opt for the rich, creamy Black Forest cake. Looks marvellous, eh ? Conclusion: I am so full of praise for it after my meal that I have decided to try out their dinner set the next time round. Highly recommended !